Notes: The first sound on the track is T.L.’s Gaggia expresso machine, the last sound is John Wyre’s nail sculpture. This is the short version of the piece, the full being too long for this CD. 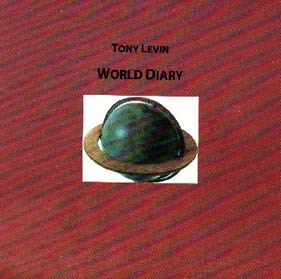 Some of the other artists appearing on Tony’s Solo CD include: Shankar, Ayub Ogada, Brian Yamakoshi, Jerry Marotta, Bendik, Bill Bruford, Levon Minassian and Manu Katche. NEXUS segments recorded at Masters Workshop, Toronto.